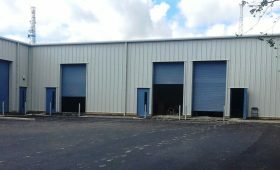 Need more floor space in your steel building? 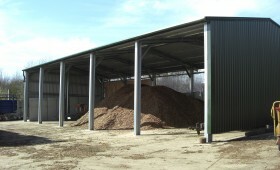 Mezzanine floors are a perfect, cost effective, way to increase the floor space in your steel building. 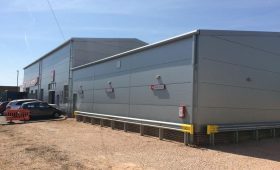 Ideal for industrial and commercial applications, mezzanines can be incorporated into the design of your new building or added to existing structures – turning wasted space into new storage or workspaces with minimum disruption to your business. Miracle Span’s mezzanines are designed to the latest building regulations and in accordance with the BRE Digest Structural Requirements. Manufactured from “I” section and box section mild steel, mezzanines can be sprayed to a colour of your choice. A selection of decking types is available – including 38mm heavy duty particle board, chequer plate steel or open mesh type flooring to suit your needs. 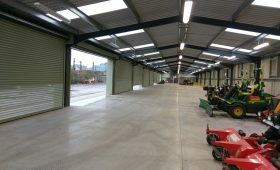 Steel partitions can be added if you wish to divide up the area. 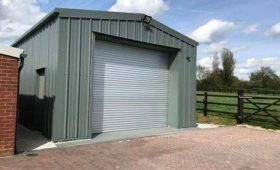 Galvanised or painted handrails can be supplied which can incorporate swing gates or sliding sections to facilitate loading and unloading of goods. We can also recommend lift solutions to ensure transporting goods to and from your mezzanine is safe and easy. 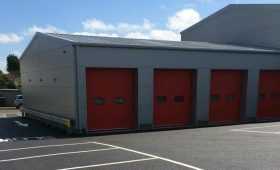 Your mezzanine can be designed to achieve a one hour fire rating if required and should you wish to be able to extend the mezzanine area as your business grows, just let us know and we’ll incorporate a stronger beam on the edge to be extended, making the project straight forward and economical when the time comes. Our CAD software enables us to provide you with 3D drawings showing exactly how your mezzanine would look. 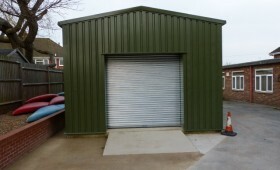 A full site survey is carried out at the order stage and detailed drawings produced which are specific to your project. 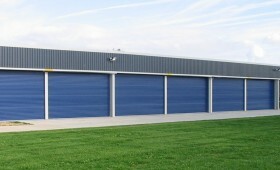 Our team of fully qualified installers are available to fit your mezzanine throughout the UK.